In south-western Finland, you benefit from over 60 years’ experience providing engineering and project management services to a wide range of industrial and municipal customers. We can offer anything from substantial EPCM projects and PMC services to individual expert services. Since 2013, we have doubled our operations, and now have 130 professionals to serve you both in Finland and around the world. 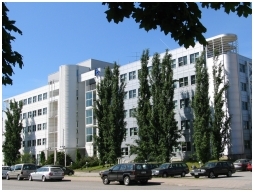 Our main office is in Turku, and we have a site office nearby in Naantali.